Nevan is trapped by a desperate bargain struck a century earlier, yet the beautiful, spirited Lindsey has enticed him to abandon his magically enforced duty. As forbidden passion flares between them, they'll risk everything to uncover the truth and find what they both need the most—redemption. 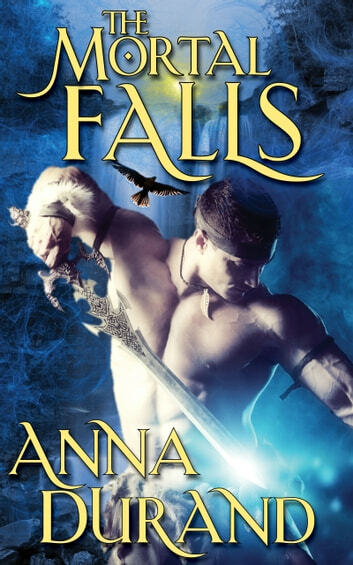 The Mortal Falls is the first book in the series, it's by a relatively new author to me so I didn't really know what to expect. But right from the very beginning, I was drawn into the story, this author writes in such a way that I, as a reader, felt like a fly on the wall and was able to feel like I was experiencing everything rather than just reading it. The characters are so well drawn and you get to know them really well so you can't help but feel everything going on in the story. The romance is steamy, the chemistry is palpable and hot and there is lots of thrilling action, I for one would like to revisit this supernatural world of the Unseen Realm. 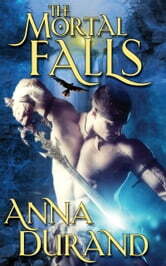 The Mortal Falls Undercover Elementals Book 1 Anna Durand I really liked it!! I thought it was fun, and imaginative. It was full of colorful characters, and adventures you wanted to be part of. I could not put the book down. Lindsey is an unlikely heroine people can get behind. Nevan in someone who rescues her from her ordinary life to be part of something magical. I loved it. I can't wait to read book two. This is a very intriguing and interesting supernatural/fantasy story. I really like the characters and the plot. It&#039;s a fairly captivating story. I like Nevan and Lindsey! Although different their story does remind me of another popular saga but this is definitely more enjoyable and better written. I look forward to reading the next story in the series to find out what happens next.